Drinking a minimum of 64 oz. 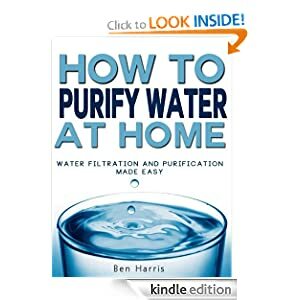 of H2O per day is not only smart it's a healthy choice. Water can help the body flush out harmful toxins and waste. Water is vital to life. We will not survive long with out it! Store drinking water out of direct light and in a cool place. Heat and light can encourage bacterial growth and damage it's quality. Change out drinking water stored about every 6 months. 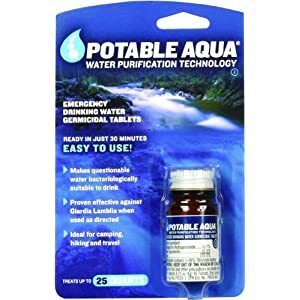 Sanitize by boiling first then add treatment drops or tablets and recycle to use as water for cleaning. 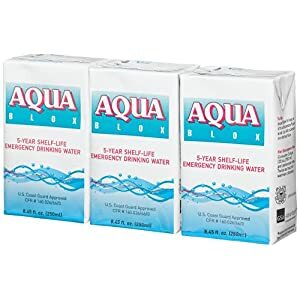 Water: Vital to our lives and our storage rations! 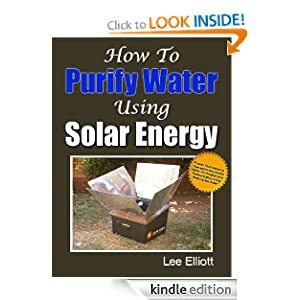 Water per person for long term storage should be about 1 gallon per day per person. 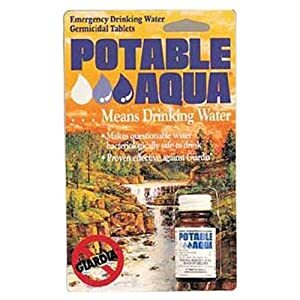 That gives you enough H2O for the daily requirement of intake as well for cooking and clean-up. 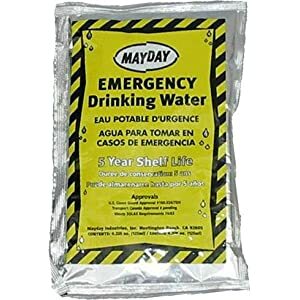 Store water rations for each member of the family for at least a week's use. 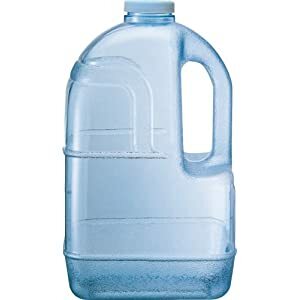 Sterilize and treat your water containers before using them with boiling water and let them sit for about 10 minutes. Treat the caps or lids by putting them in boiling water as well. 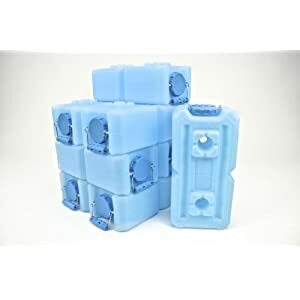 Let water containers air dry. 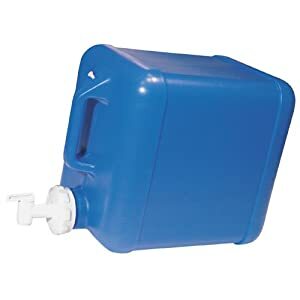 Fill sanitized container with pre-treated water. 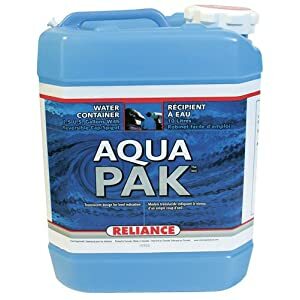 Letting container sit over night will let particles settle to the bottom of the container if the water was not filtered. A weak bleach solution may be also used for sanitizing containers. 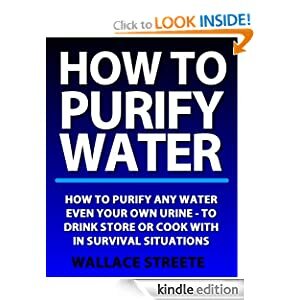 DO NOT CONFUSE this with the method for bleaching to sanitize water for drinking. 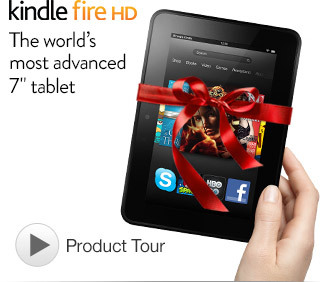 This mix up would make you extremely ill! Use a solution of bleached water to sterilize containers in the event you haven't a heat source available for boiling your water. FOR CLEANING AND SANITIZING SOLUTION ONLY!!! To use bleach as a sanitizing agent, choose a chlorine bleach that does not contain fragrance or additives. Add 2 -3 drops of bleach per gallon. DOUBLE CHECK your drops. Use a trusted eye dropper. 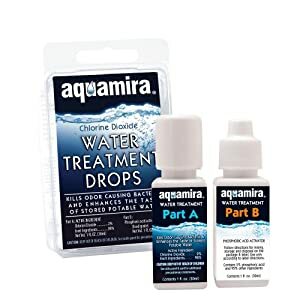 Chlorine bleach can cause painful skin irritation and possible burns. 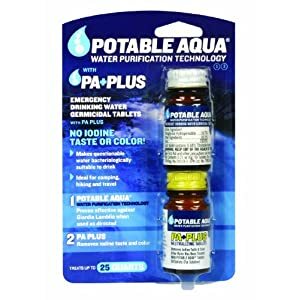 Let water settle overnight before using. Gallon jugs that contained milk or juice are not recommended for storing. 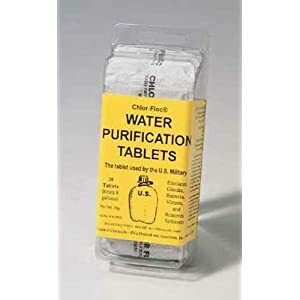 They might contain food particles that would cause bacterial growth in the water stored in them. Use 2 liter soda bottles instead. They are easier to carry in case you need to leave. Recycling is always good for the environment. A good choice for recycling plastic bottles for water is the ones that contained sports drinks. They are a sturdier plastic. Always sterilize any container you are going to store water or food in for long term. 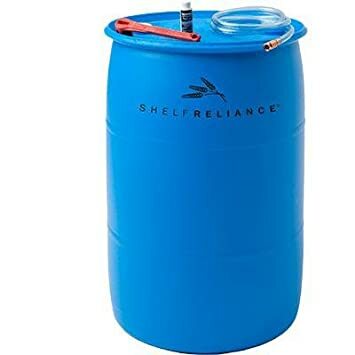 This well constructed 55 gallon water barrel container is made from high-density polyethylene that is not only food grade quality material but is BPA Free. The blue solid color is important to keeping water from being exposed to sunlight. This prevents the growth of algae and harmful bacteria. Photos used under Creative Commons from mendhak, Sudhanwa..